Dr. Lisa Labrecque is the Director of Community Spay/Neuter Programs for Maui Humane Society. Before joining MHS in a full-time capacity, she served as the Medical Director of Maui Humane Society's MASH program, which sterilized over 6,000 animals in an 18-month period through a series of large-scale spay/neuter clinics. Dr. Labrecque moved to Hawaii in 2011 and worked for two years as the Medical Director for the Lanai Animal Rescue Center (now the Lanai Cat Sanctuary). This job led her to pursue training in high-quality, high-volume spay/neuter surgery at Humane Alliance in Asheville, NC. She returned to Hawaii with a renewed commitment to reduce overpopulation of homeless animals, especially the abundant feral cat population, through targeted, sustained spay/neuter efforts. Prior to moving to the islands, Dr. Labrecque worked in private practice in California and volunteered with a number of non-profit animal welfare organizations, including serving for two years as the Veterinary Liaison for the Feral Cat Coalition in San Diego. 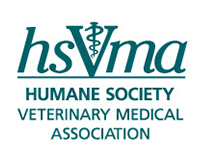 She earned her DVM degree from the University of California at Davis in 2006.